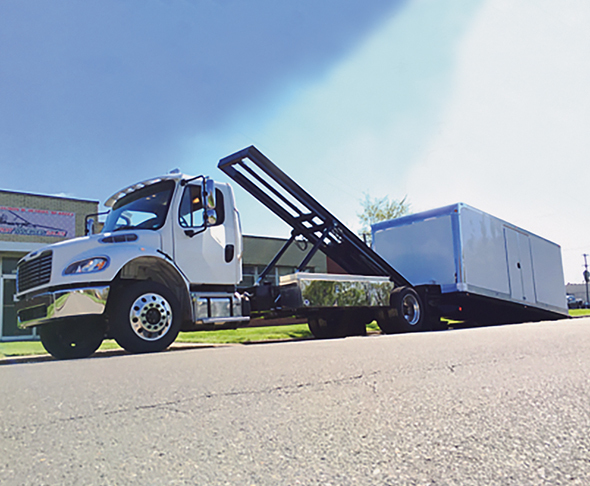 The Low Loader is the lowest load angle rollback carrier on the market. Its innovative design using a forklift platform transforms the load capacity and angle capability of the bed. Call 313-835-8700 or visit www.detroitwrecker.com.